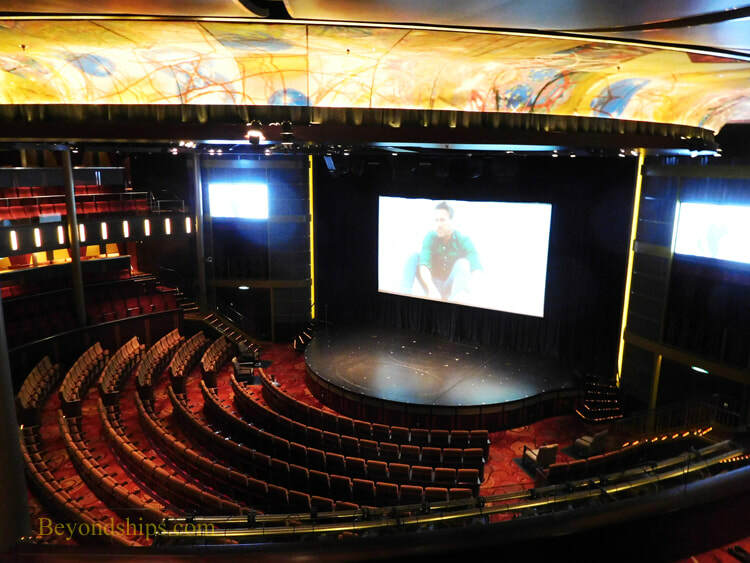 The Reflection Theatre is the ship's largest entertainment venue. 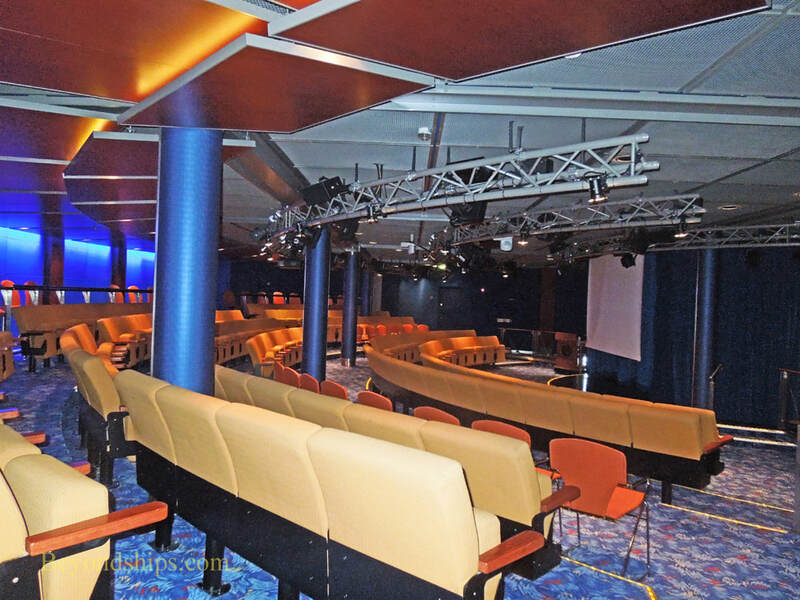 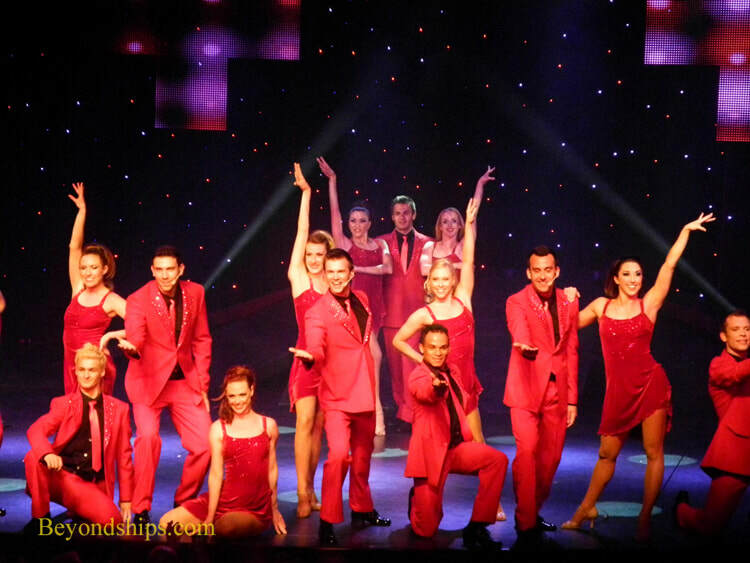 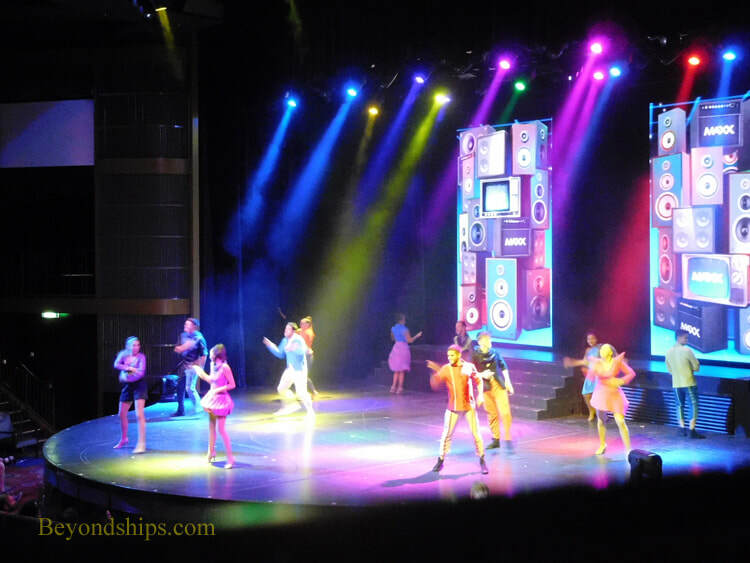 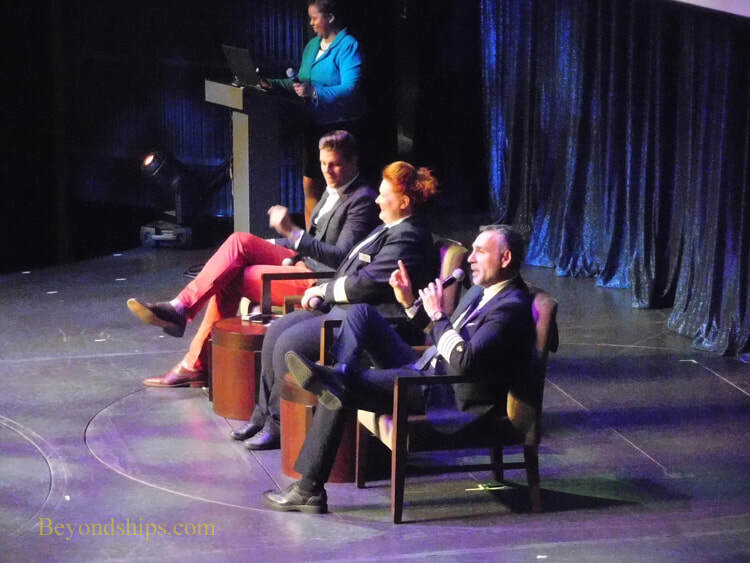 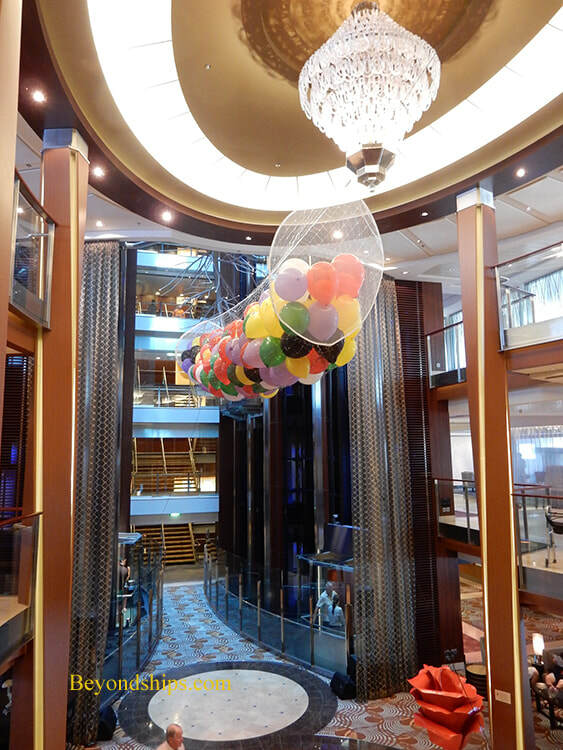 It is home to the ship's production shows, which include high energy shows with acrobats and aerialists as well as more traditional shows centered upon Broadway-style singing and dancing. 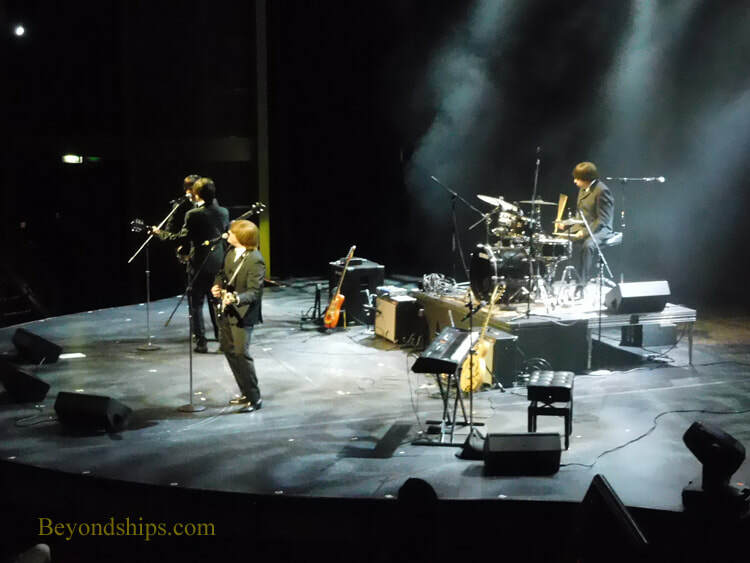 The Theater is also used for shows by visiting performers such as "A Hard Days Night" (below) and for game shows such as Liars Club (right). 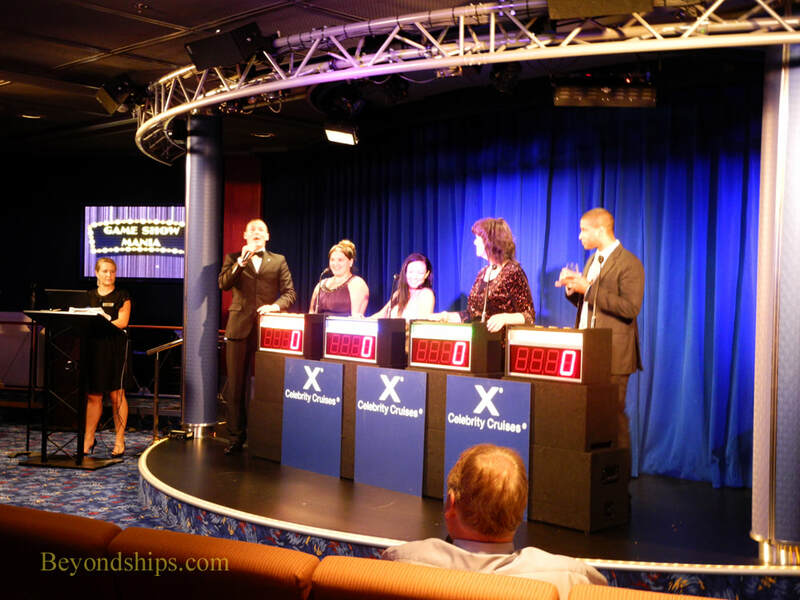 Celebrity Central is a smaller auditorium that is used for game shows, movies, lectures, and activities. 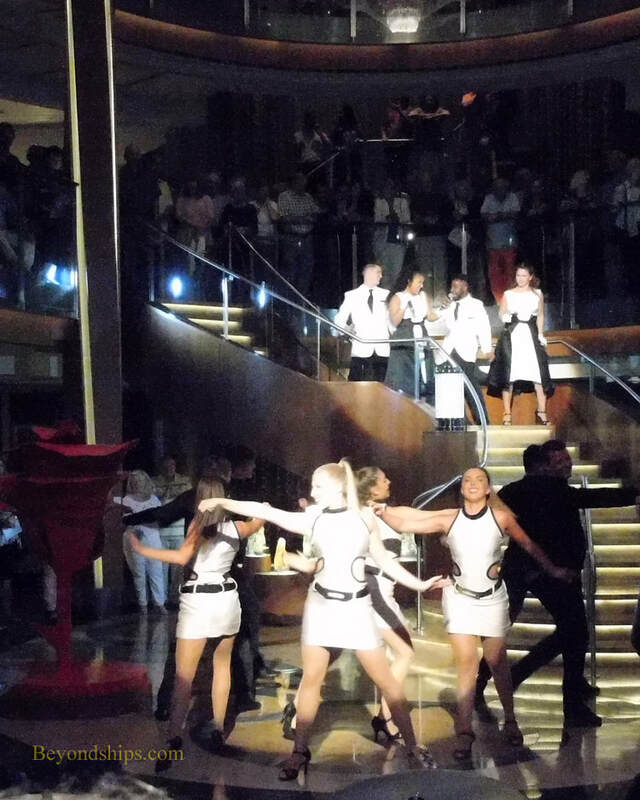 performances by the ship's cast (above). 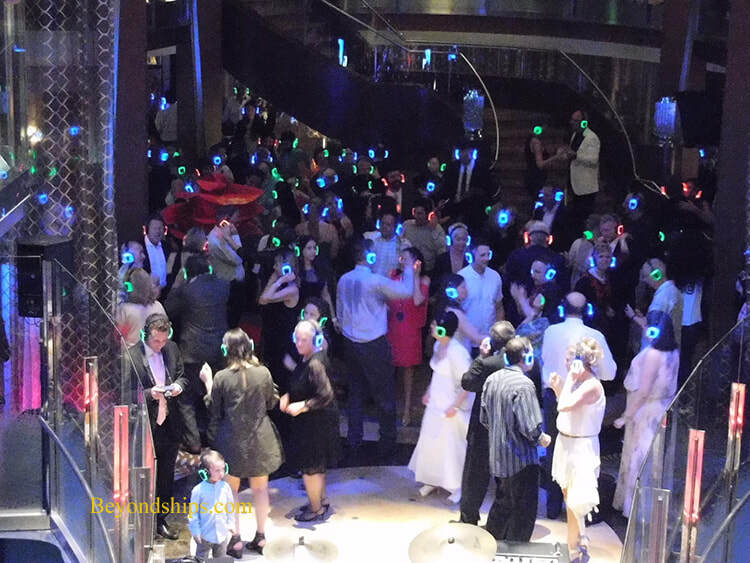 It is also used for "Silent Discos" in which each guest dances to music coming over their individual headphones (left). 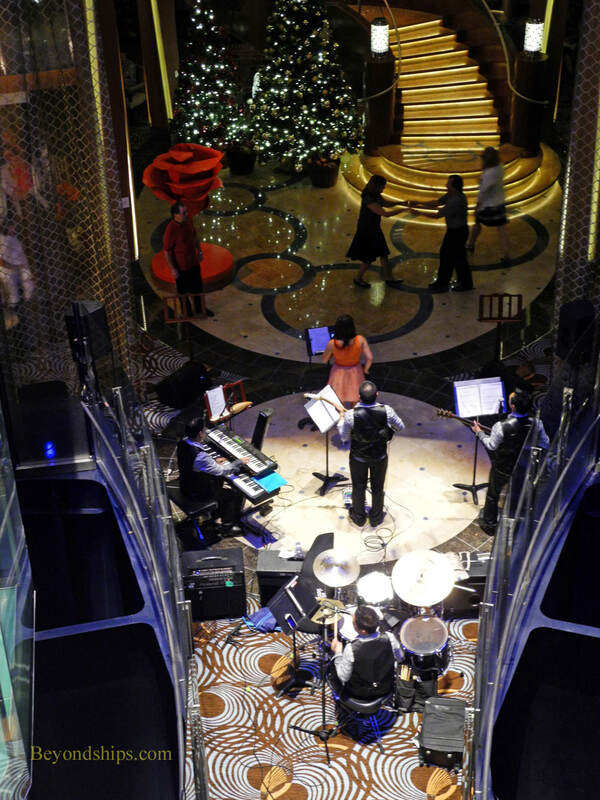 The ship's party band also provides music for dancing (above right). 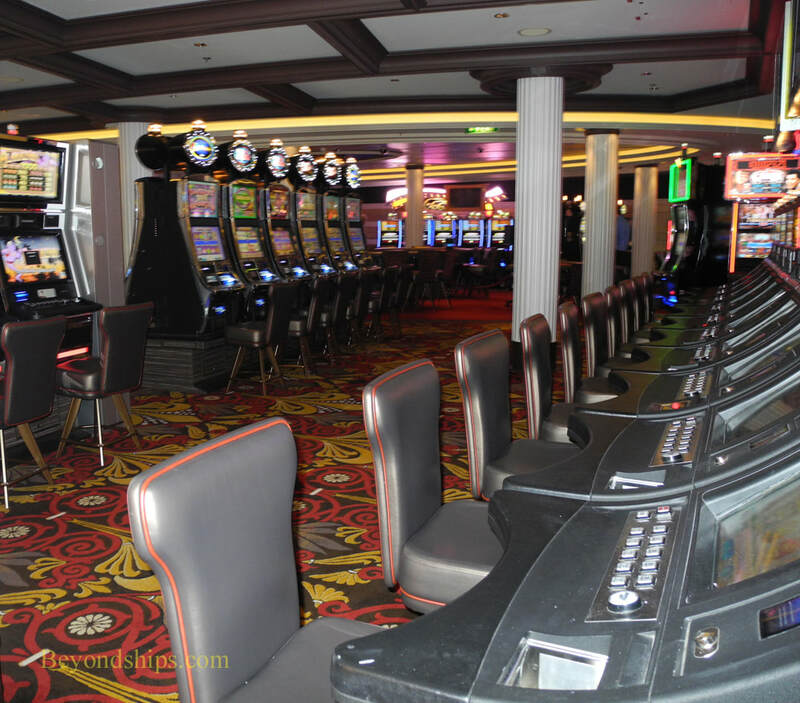 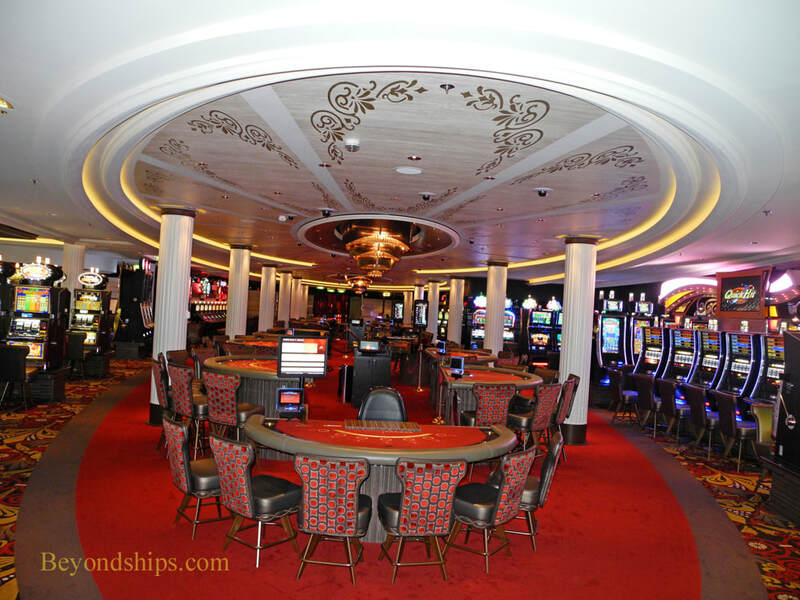 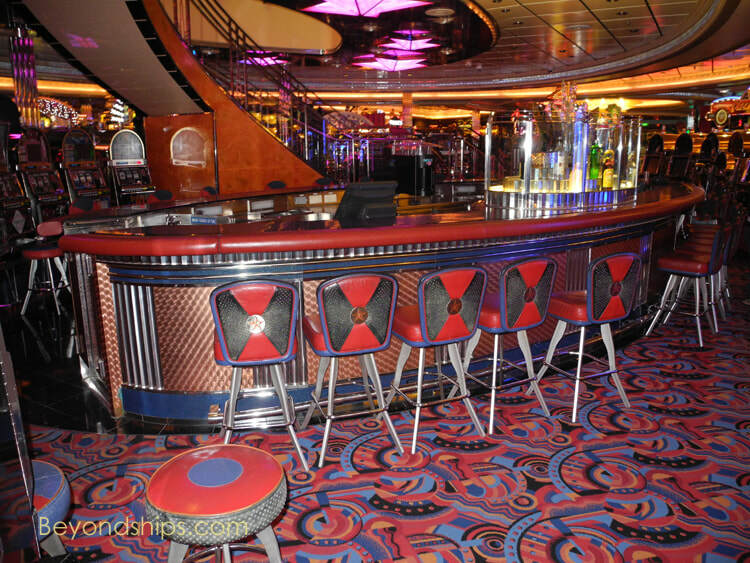 Fortunes Casino is a large elegant room with its own bar, 14 different table games and 235 slot machines.